This recipe was published in a church cookbook by my sister, Doris Jean, 40 years ago. I can’t believe I haven’t tried it before now! My husband and I just gobbled up a piece of this warm pie topped with vanilla ice cream, and it was awesome. Thank you, sister!! Boil brown sugar, syrup, butter and flour until thick. 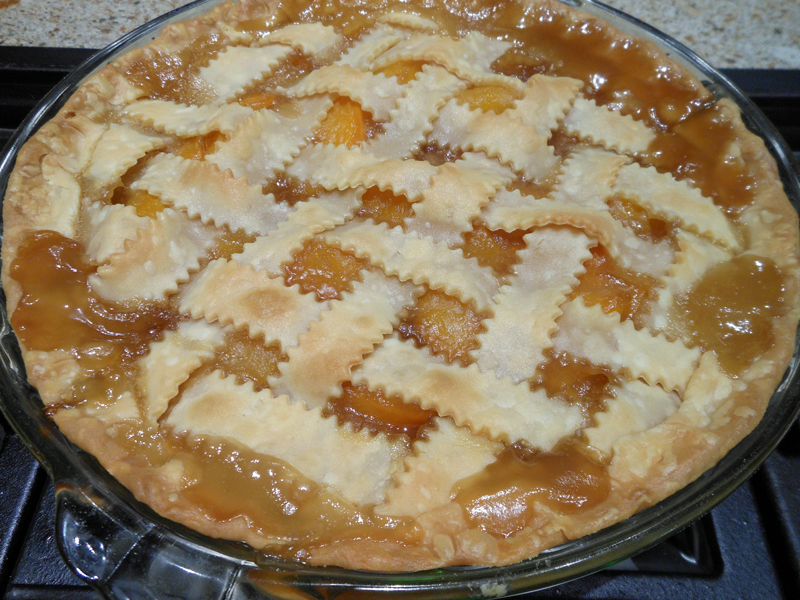 Place the peaches in an unbaked 9″ pie crust. Pour mixture over this. Place strips of pastry over top in lattice effect and bake 350 degrees for 30 to 35 minutes. One of the best peach pies I have ever eaten.